The drains in your home are extremely important components of your home plumbing system. 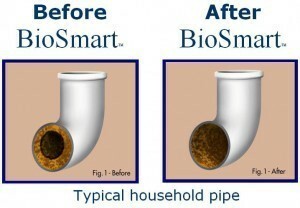 When your drains work properly they are able to remove waste water from your home in a clean, convenient fashion. When your drains are damaged or otherwise compromised, though, you have a potentially big problem on your hands. The longer any necessary Teaneck drain repair service is postponed, the more likely it becomes that the damage to your system will be complex and costly. That is why recognizing the need for Teaneck drain repair is so important. Here are some tips from BZ Dependable on how to do so. One of the more obvious signs of a need for drain repair is the pooling of water in your basement or around your home. Even small amounts of water can lead to serious damages if given the time. Any leaks in your drain system must be repaired as soon as possible to minimize the risk of damage to your property. You may also simply notice that your sinks or bathtubs are draining slowly. While this may seem like a minor problem, any slow moving or clogged drains should be treated as a serious issue. Not only are they inconvenient, but clogged drains can also throw off the pressure within your home plumbing system. This can lead to bigger headaches down the road. Contact a professional to ensure that any clogged drains are completely resolved and that they are not indicative of a more serious issue. Foul odors are another common sign of damaged drains. While the problem may be an easy fix for a qualified plumber, such as a dried out drain trap, there is only one way to diagnose the problem with certainty; have your system thoroughly inspected and serviced by a professional. If you have any further questions about how to recognize the need for Teaneck drain repair call the professional plumbers at BZ Dependable. We have the skills, knowledge and training to ensure that your drain problems are resolved completely and reliably. Contact us today to learn more about potential problems with your drains and how you can minimize the risk of damage.